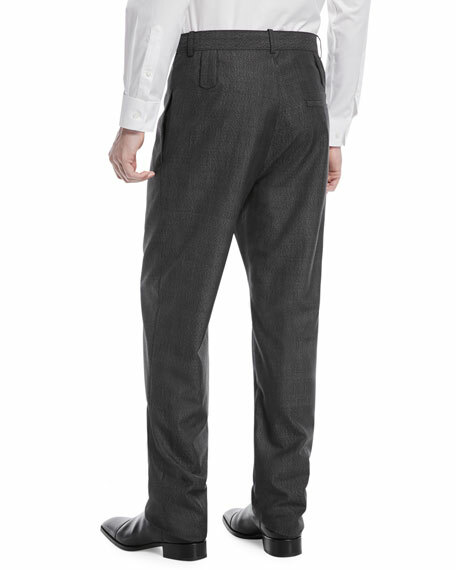 Balenciaga dress pants with double belt-loop detail. Quarter top pockets; one back welt pockets. 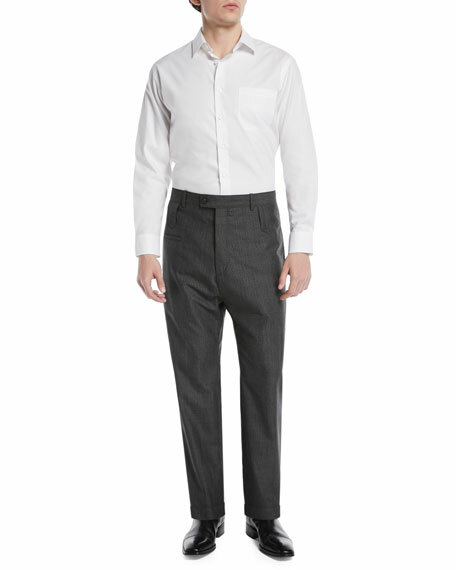 Cuffed hem may be tailored to desired length. 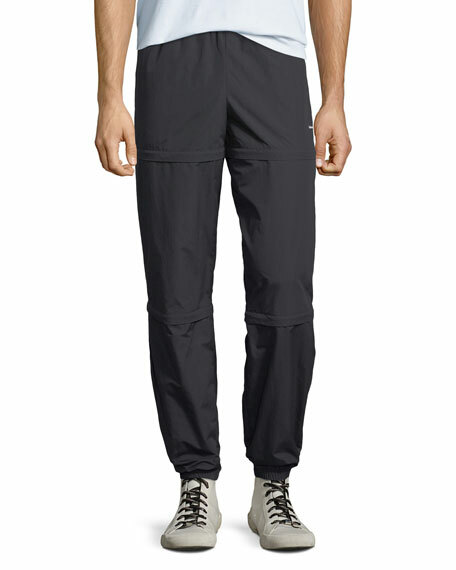 Balenciaga track pants with convertible zip panels. Convert to knee-length and thigh-length shorts. Elasticized waist. 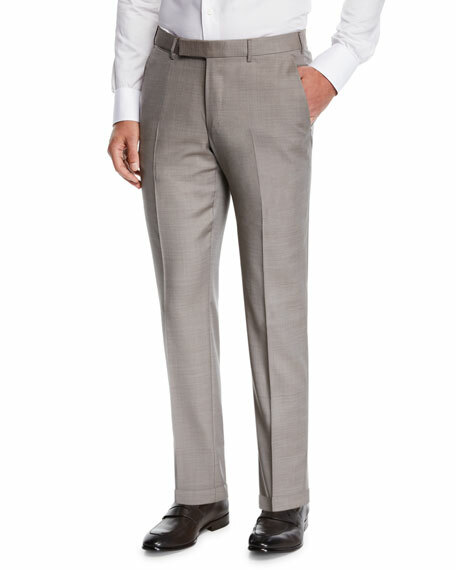 Relaxed fit; tapered leg. Ribbed ankle cuffs. Pull-on style. Nylon. Made in Italy. 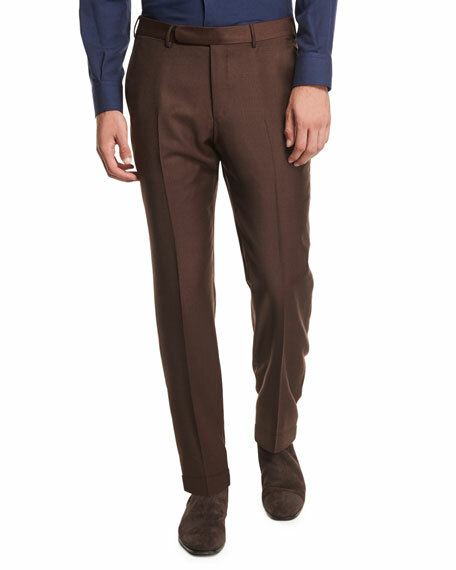 Ermenegildo Zegna "Achill Farm" flat-front dress trousers. Tab/zip front; belt loops. 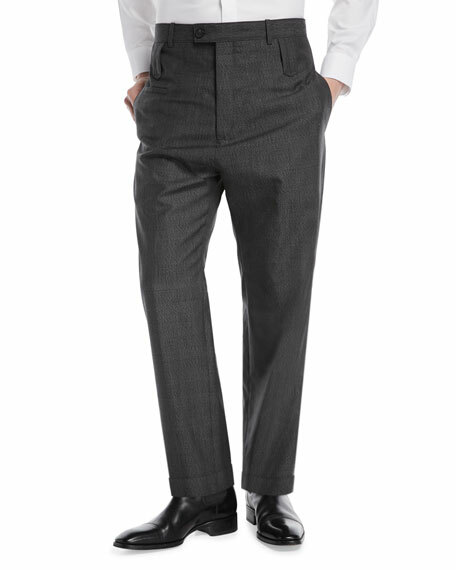 Side slip pockets; back button-welt pockets. 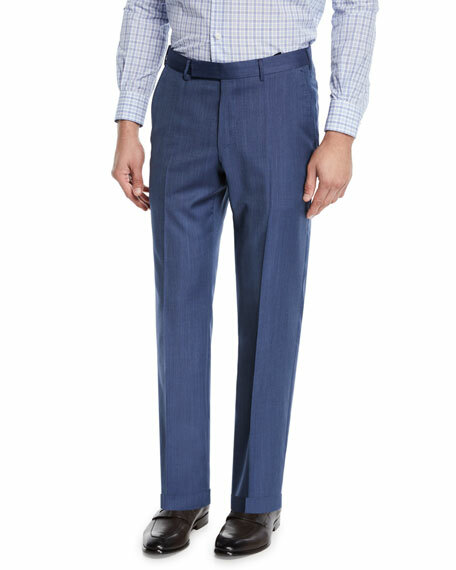 Mid-rise, straight-leg fit. Wool/silk. Dry clean. Imported.